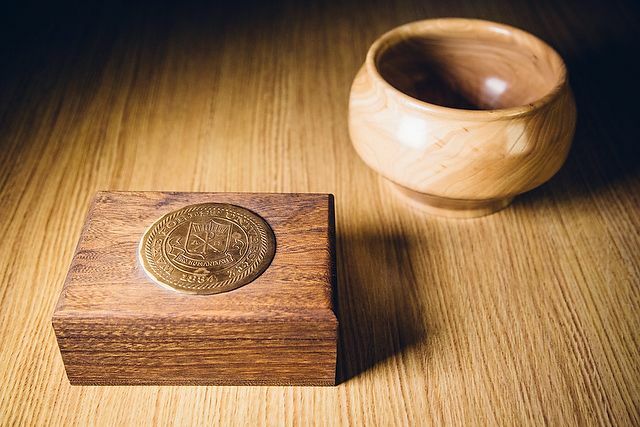 After hearing from alumni with their generous suggestions and seeking advice from the campus community, Wake Forest Magazine curated this random collection of objects, from the whimsical to the serious and the historic to the fleeting (dress codes, anyone?). 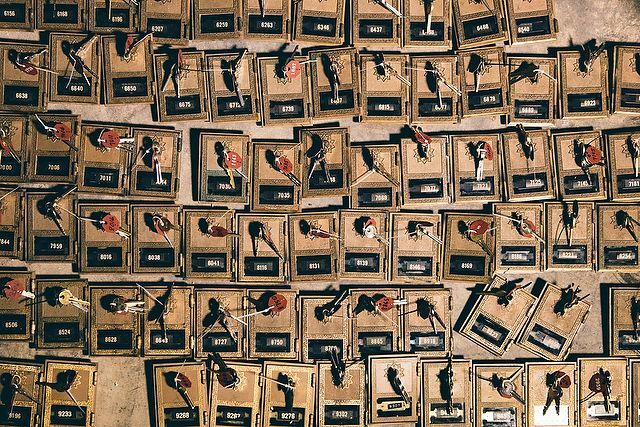 This assemblage humbly offers a few answers — but by no means a complete list — to an endless inquiry: What things make Mother so dear, not to mention fascinating? It weighs about 11 oz. and is worth about a $1, if sold for scrap. But for many alumni — especially those of us who arrived on campus before the invention of cell phones, email and texting — the 11 oz. brass door that opened our campus post office boxes was priceless. (They were removed from Poteat after postal operations moved to Benson in 2013.) The post office box was the link to friends and family back home. If you were lucky, you’d open that door to find a handwritten letter from your parents or hometown honey. If you were luckier still, you’d find a jackpot slip of paper that directed you to the P.O. counter. Awaiting you might be a care package from home. What lay behind that little brass door? Monday through Saturday it was worth a Quad cruise to find out. “This T-shirt and a seemingly indestructible plastic Fideles cup are the only tangible remnants I have from my time at Wake Forest. Even my diploma was misplaced somewhere along the way. The trip to Orlando in December of 1979 with two of my roommates — in my mom’s big, blue Ford LTD — remains one of my favorite memories, and was definitely one of the best road trips ever. Even though the Deacons lost the game, we had a blast hanging out with our friends and other Deacon fans at Walt Disney World, and before, during and after the game. 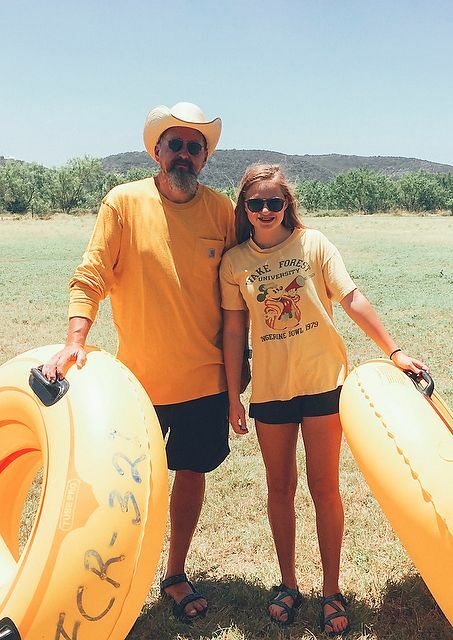 “I love this shirt because it is a bridge between my magical (to me) and mythical (to my kids) formative years at Wake Forest and my adult life a thousand miles away, in Texas. Delaney grew up watching Wake Forest sports and understanding how the frequent disappointments make the high points even better. After Wake won the ACC football championship in 2006, she began to decorate her school notebooks with Deacon stickers and graphics. When we went to Walt Disney World in 2011, she wore this shirt. It’s been hers ever since. 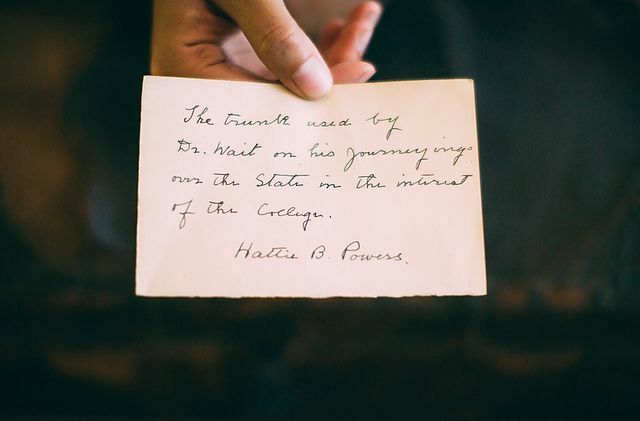 Homecoming 1941 marked a milestone that forever changed Demon Deacon lore. Some 18,000 fans packed Groves Stadium to see Wake Forest take on Southern Conference rival North Carolina. Others had dressed as an old Baptist Deacon from time to time, but no one captured the spirit of the Deacon like Baldwin. What started as a joke became a tradition. 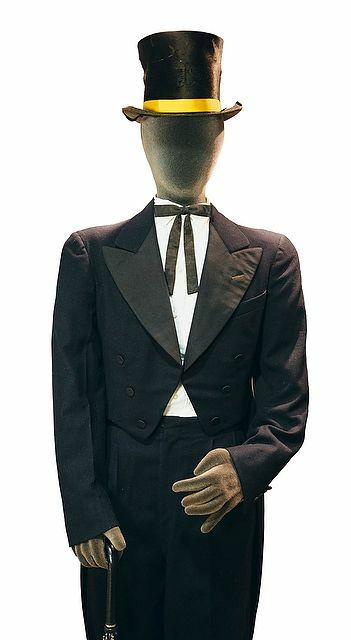 Baldwin donated the umbrella, tuxedo, tie and top hat he wore that day to the Wake Forest Historical Museum. He died in 2007, but the spirit of his Homecoming appearance lives on. Metals forged, wood precisely carved and details painted in gold and red, the Wake Forest gamelan was completed by artisans in Bali in December 2014, loaded into four shipping crates and launched on its four-month journey across the seas to a port in Norfolk, Virginia, then south to the Scales Fine Arts Center. On Oct. 29, 2015, students and members of the community wearing traditional Balinese costumes played its instruments in an inaugural concert on the Brendle Recital Hall stage. 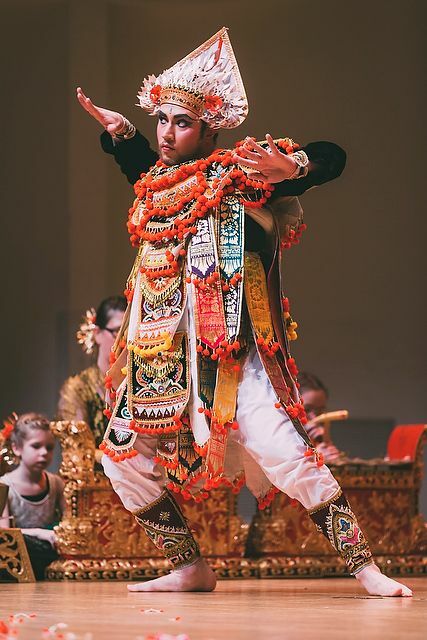 The gamelan is a percussion orchestra consisting of gongs of various sizes, drums, flutes, cymbals and keyed instruments to be struck with mallets. Ours is a hybrid gamelan kembang kirang, “the only one of its exact kind,” says Elizabeth Clendinning, the ethnomusicologist and faculty member who commissioned its creation on behalf of the University. Traditionally played for village ceremonies and funerals, this type of gamelan has “a bittersweet sound” reflecting emotions. 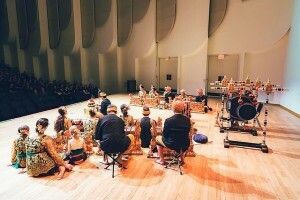 Based on its revered place in sacred world music, the percussion orchestra can be expected to perform anything but ordinary music in North Carolina. 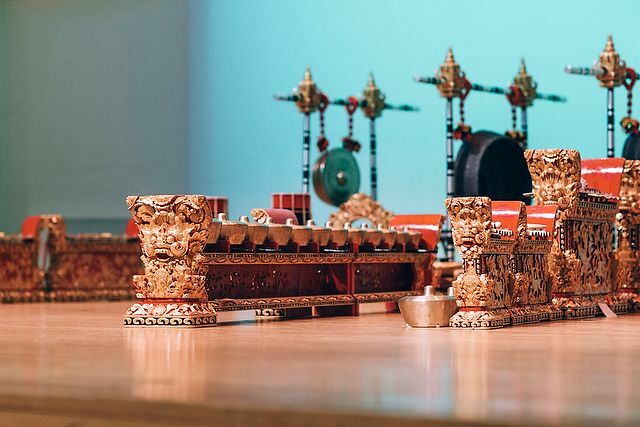 Our “magical forest” gamelan promises sacred sweetness and emotion — a vibrating, blessed link between Wake Forest and an island known for devotion, artistry and love. We graduated under their shade and celebrated athletic victories by festooning their branches with toilet paper. So when the majestic elm trees that had lined the Quad since the 1950s succumbed to Dutch elm disease in 1987, it was only fitting that we mourned by rolling them in memoriam. You wouldn’t think that redesigning the University’s stationery would cause such a ruckus, but it did. The great seal caper erupted in 1984 when the administration unveiled the so-called “bar logo” to replace the Pro Humanitate seal on stationery and brochures. Some faculty members, including venerable history professor David Smiley (P ’74), saw more nefarious motives than a simple design change; the very principle of Pro Humanitate was under attack. 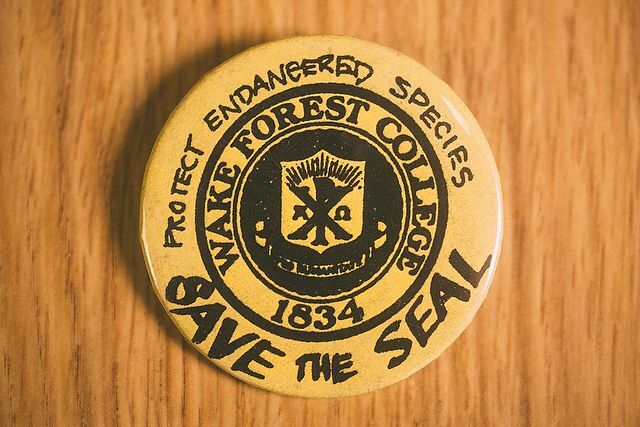 One wag launched a tongue-in-cheek campaign with this tiny button to “Save the Seal: Protect Endangered Species.” The Old Gold & Black waded into the fray in its April Fools’ edition, suggesting that a seal (a sticky, slimy, wet one) replace the Demon Deacon as the University mascot. The uproar quickly faded, and the bar logo survived for 25 years until it was replaced by the shield logo in 2009. Far from fading away, the seal is more revered than 25 years ago and more prominently featured on campus, including on the Quad in front of Reynolda Hall. And Pro Humanitate has never been stronger. This small, wooden trunk belonged to Samuel Wait, Wake Forest’s founder and first president. Wait used the trunk when he traveled with his wife and baby daughter in a covered wagon across North Carolina in the early 1830s to raise money for the Baptist State Convention of North Carolina and Wake Forest Institute. 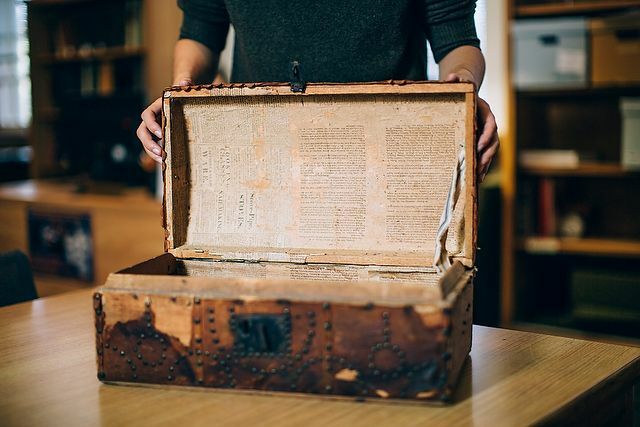 The trunk is lined with pieces of newspaper from the Vermont Mirror dating to the Battle of Waterloo in 1815. Wait was born in New York state but moved with his family to Middlebury, Vermont, when he was a boy. Wait’s granddaughter, Hattie Brewer Powers, donated the trunk to the Z. Smith Reynolds Library Special Collections and Archives. Napoleon was later exiled to St. Helena. The trunk remains in our library. 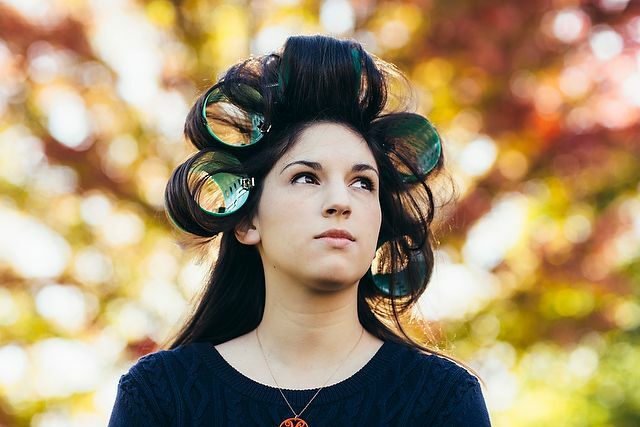 Imagine if, back in the ’50s and ’60s, those who monitored the dress code for female students had gotten their hands on a crystal curler and seen what the fashion future would bring. Advance knowledge of bellbottoms and miniskirts, disco boots and Daisy Dukes, parachute pants, pleather and omnipresent polyester might have changed their perspective when it came to a ban on wearing Bermuda shorts pretty much anywhere but Bermuda. Absent proof of styles they could most likely never imagine, the solemn duty of those well-intentioned people was to make sure “The Wake Forest Woman” always showed good taste in her manners and appearance. 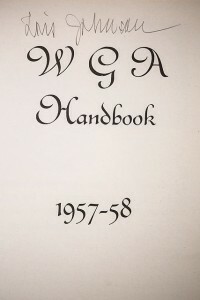 And thanks to archived women’s student handbooks, we now know what to wear was actually as much about what not to wear. For example, if you were heading to Raleigh for shopping and a movie, hose were required when traveling to the state capital. We always knew those city folk were fancy. Hats and heels were expected for Sunday morning services, but hat-free heads were acceptable at athletic events. Too bad those were the days before deely bobbers. Bathing suits or playsuits were appropriate for sunbathing on Bostwick Beach, an activity prohibited before noon on Sundays. If a picnic or hike were on your schedule, blue jeans and pedal pushers were acceptable — (and gosh, actually comfortable). But you needn’t have thought about wearing them on campus or in the parlors, except in unusual circumstances. It’s not clear what those circumstances were, but one had to get permission from the local — er, proper — authorities. 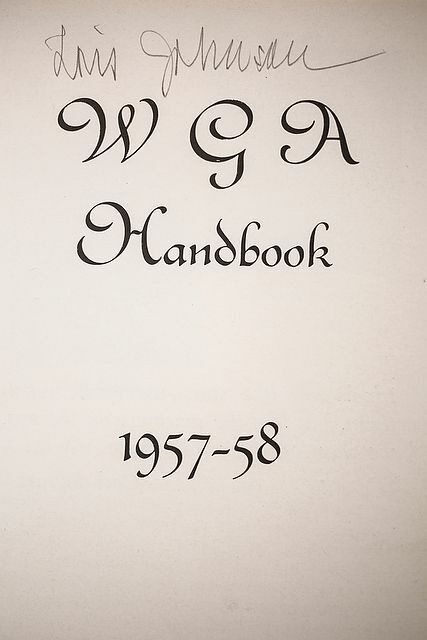 And perhaps most importantly, cautioned the handbook, “You know how fussy boys are about appearances. When you are in the parlors make sure you look your best. When answering the phone be sure to slip on a raincoat, a pair of shoes and a scarf for those unsightly rollers.” That generation’s deely bobbers, perhaps. 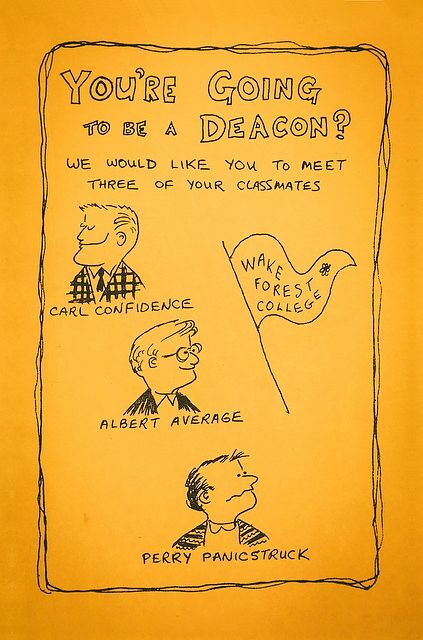 In 1964 Wake Forest College freshman males, who heretofore sought guidance from parents, mentors, Ouija boards and perhaps even tea leaves, received the “You’re Going to be a Deacon?” orientation booklet. 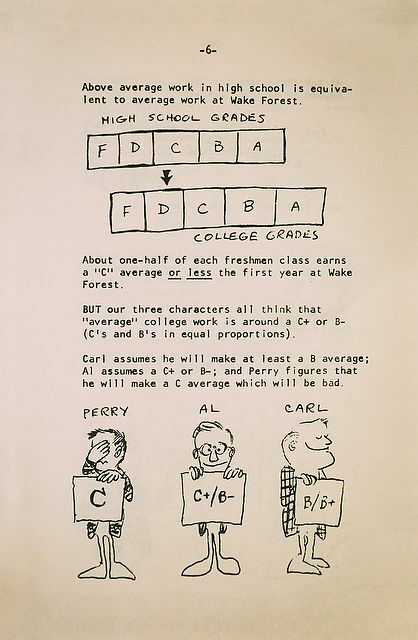 Their new best friends became fictional “classmates” Carl Confidence, Albert Average and Perry Panicstruck, whose stories offered encouragement — along with realistic expectations — to those about to experience the challenges of managing college life. 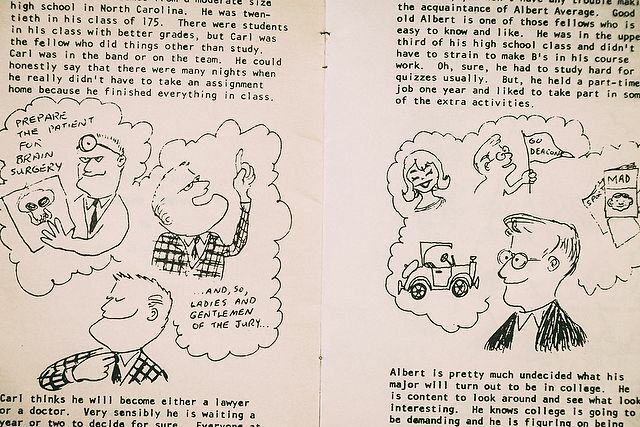 Carl, the fellow who came from a moderate-sized high school where everyone had better grades but who liked to do things other than study, finished assignments during the day so his evenings were free for extracurricular activities. When he made a C average his first semester, he wondered if he were losing his grip. Affable Albert was pretty much undecided and content to look around and see what was interesting. In high school he didn’t have to strain to make Bs. But a “Gentlemen C” average first college semester? C’est la vie, said Al. And poor Perry! He had considerable doubts about how the college thing was going to work. He graduated near the top of his class but wished people would quit expecting so much from him. He saw a C average as utter failure. 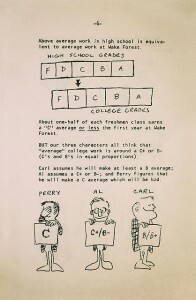 In the wise words of the freshman booklet, Carl assumed the college was waiting breathlessly for him. Perry assumed everyone else was smarter. Albert, bless his heart, settled for the easiest way through. So what to take away from their experiences, asked Mother, so dear? Don’t be like those guys, who could have learned something valuable from each other. Be yourself; chart your own course. You got in, so you have what it takes to be successful at Wake Forest. No need for panic. The incoming freshman class in 1996 received a school supply Wake Forest had never provided as part of tuition: a laptop. 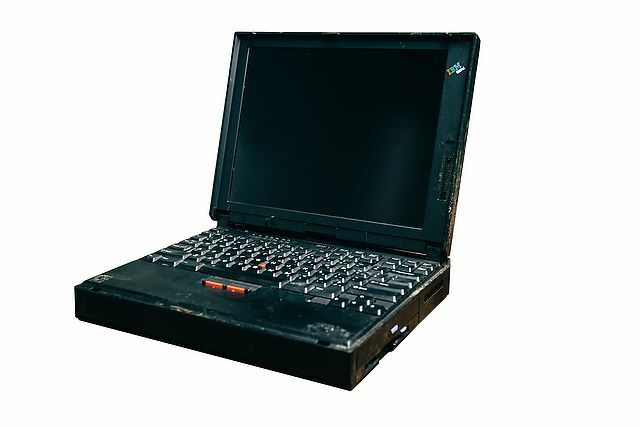 As a way to give students a competitive advantage in an increasingly connected world, the University distributed to each first-year student in the Class of 2000 a 6.5-pound IBM ThinkPad 365XD. ThinkPads gave Wake Forest a scholastic and P.R. edge when students at other colleges remained largely in pen-and-paper mode. They also gave the Class of 2000 a social edge that didn’t require ringing a hall phone or cruising the Quad. After hooking up the ThinkPads to the dorms’ computer wiring, freshmen could use a program called WinPopup — nicknamed “WinPop” — for campus instant messaging. Jen and her friends would wage “WinPop Wars” with each other, firing off jokes and messages before heading out to whatever Friday night had to offer. WinPop became the preferred way to plan the weekend. Jen Anderson and her mother, Mary, who found the laptop in the basement last year. The Class of 2000 can look back on their old laptops and still feel special, even elite. For Jen, those laptops were equivalent to owning the latest iPhone today. “The IBM ThinkPad was the thing to have,” she says. Now Jen lives in San Francisco, where she works for a FinTech startup and runs fearlesscareer.com; and she knows exactly where her 6.5-pound ThinkPad resides, 3,000 miles away. Her mother in Madison, New Jersey, called her last year to remind her that “the brick” still waits for Jen in the basement.